Advancements in technology, both hardware and software, continue to open up industries to new ways of thinking. Whether it is the latest Intel chip in your smartphone or advancements in cloud storage and streaming, entrepreneurs and companies alike are constantly on the lookout for new ways to implement tech into established fields. Take, for example, school. Whether it is middle school, high school, or college, institutions are looking at the benefits of adding things like iPads to its curriculum to improve the experience for both students and teachers. 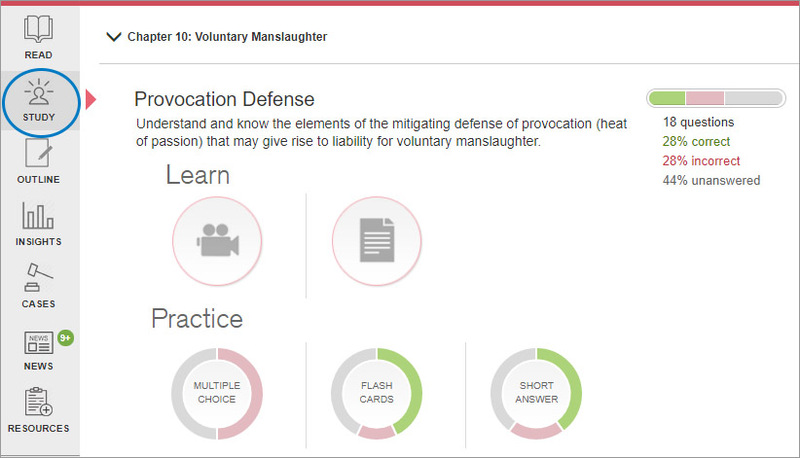 Law school is no exception, and companies like Wolters Kluwer and its Connected Casebook are revamping how students of law consume and study the wide range of legal texts required to fully grasp the material. 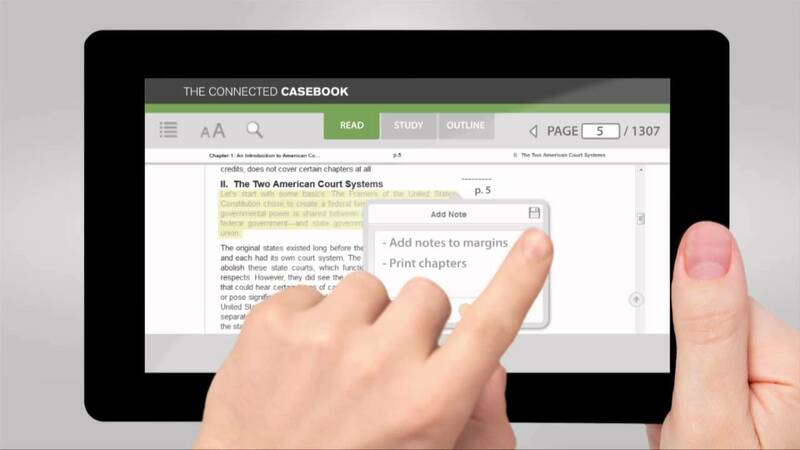 Instead of having to haul around various books and search tirelessly through text, it works with law schools to provide students digital copies of the casebooks and other texts that the student already owns. It also includes features that allow for quick searching, highlighting, study features, and outlining and briefing tools. I had the chance to speak with Vikram about Connected Casebook to learn more about the service, as well as the inspiration behind it and where we could see legal education in the next ten years. Check it out below. Care to introduce yourself and your role with Wolters Kluwer? I’m Vice President and General Manager of Higher Education and International Markets for the Legal & Regulatory, U.S. Division of Wolters Kluwer. This means I oversee our full range of business activities—including content acquisition and development, product and platform development, operations, business development, and sales and marketing—for our lines of business in markets that range from U.S. law schools to international arbitration practices. What inspired the creation of the Connected Casebook? The Connected Casebook was spurred by a fundamental change in the market. By 2013, the majority of students in law schools were now “digital natives.” Not all students—one of the most attractive aspects of law school is the extent to which it’s a credible avenue for non-traditional students looking for mid-career changes—but definitely the majority of students. We did a lot of market research in 2013 to understand what kinds of expectations these digital natives were bringing to their law school classes. And we learned some very interesting things. For instance, though digital natives grew up using Google and Facebook, that wasn’t too consequential to their expectations for law school classes. What was more consequential was that they had access to robust, interactive learning technologies throughout their educational process, including at the undergraduate level. Most math, literature, psychology, economics classes and so on had cutting-edge platforms embedded in them at that point. As a result, digital natives came into law school expecting to find the same kinds of videos, tutorials, online assessment systems, and so on. And in 2013 that wasn’t the case, and it was quite a shock for incoming students. The Connected Casebook was really designed to bridge this gap . . . to make sure that law students have access, in their law school classes, to the same kinds of technology-enabled personalized learning solutions that helped them succeed enough as undergraduates to be admitted to law schools. In just a couple sentences, what problem(s) are you trying to solve? Law school classes are extremely difficult. There’s an enormous amount of case law that students have to read, interpret, and commit to memory; there are very complex concepts (that don’t exactly fall neatly into “correct” and “incorrect”) that students have to develop a facility for reasoning through; there’s a lot of creativity that students have to develop in order to successfully apply the concepts they’ve learned to real-world cases that are often muddy and confusing. Connected Casebook is designed to help students to succeed in mastering all of these difficult tasks, supplementing what they encounter in lecture and in their textbook. It does this by leading students progressively from basic facts into complex reasoning through a range of online explanations, interpretations, quizzes, and exercises that add a lot of context and insight to classes that can initially seem daunting. What hurdles have you faced while digitizing and creating legal texts? Legal texts aren’t as complex as, let’s say, anatomical textbooks, so the challenge isn’t so much in figuring out the underlying digital structure. The challenge has been in activating the digital texts . . . making it possible for scholars, professors, and students to make the kinds of linkages between various texts that help bring complex concepts to life. This is really a problem of ontology, metadata, and, to some extent, natural language processing, and while our platform has been groundbreaking in the way in which it allows users to tie together different kinds of content (cases, treatises, news, and so on) in integrated experiences, the truth is I think we’ve just scratched the surface of what we’ll be able to do over time, as we incorporate more and more machine learning and the like into our framework. Has it been an issue getting texts approved, I imagine that is quite the process? It’s involved for sure . . . this is a major shift for our legacy content, and it’s important that we spend a lot of time with our authors and partners helping them see the value of this approach for them. In the end, authors tend to be quite enthusiastic; after all, they wrote their books in order to help students succeed, and once they see that Connected Casebook is a step forward in that process, they embrace it. Where do you see the education system in 10 years? I’ll narrow my thoughts to the law school space, which is where I spend the bulk of my focus within the education world. From my perspective, law schools are in an energetically exploratory moment. What I mean by this is that, after many decades in which the law school classroom experience stayed quite consistent (for many good reasons), now suddenly most law schools are actively embracing really intriguing ideas about alternative approaches to educating the next generation of lawyers. Some are focusing on shifting away from a lecture style to more of an experiential approach to education, based on clinics and pro bono work; others are trying to leverage the power of technology to teach classes online and reach geographically distributed students; others are rethinking the basic curriculum and looking to reshape it around real-world projects and issues, instead of academic areas. All of this experimental work is playing around the edges of law schools at the moment, as the core educational sequence is still mostly taught in a traditional way. But I expect to see some winning ideas from within this ferment achieve broad buy-in across the community and start to become part of the mainstream approach to law school moving forward. Personally, I think this makes the future of the law school segment bright; I think that the leaders of the space are taking strong steps to make sure that law school will be appealing to 21st-century students. Anything exciting coming to Connected Casebook and Wolters Kluwer? Connected Casebook has been quite successful since its launch; it’s used at this point by more than 2/3 of first-year law students as part of their curriculum. As a result, we’re viewed by innovators in the law school space as an excellent channel through which to reach their target users, and a number of them have reached out to us to see whether we can partner. A number of these overlaps have made good sense, so we’re in the process of adding more robust personalized assessment capabilities, tutoring services, and so on to the platform. These will be launching over the next few months and will help ensure that Connected Casebook provides a comprehensive service to law students. I would add that I think it’s an exciting moment from an ed tech perspective. Of course educational technologies have been growing and making an impact in some parts of the education space for more than a decade now, but I think now we’re finally seeing the transformation everywhere, and in a way that balances the traditional educational approaches (lectures, for instance) and new capabilities (adaptive testing, for instance) in a really sound way. It’s that balance that I find most encouraging: the people who really see the future of the space know that ed tech isn’t going to displace traditional approaches but complement and accelerate them. I believe that’s why Connected Casebook has been successful: it builds on top of what’s of value in the traditional law school world and extends it into the digital age in a seamless way. I think it’s an example of the kind of rapid, impactful, blended transformation we’re going to see over the next period across the education market.